I'll be the first to admit I'm not a fan of the theater. I prefer traditional film over a filmed stage production any day. I'm just not that cultured. The one thing a stage production holds over traditional film is that it's live. The raw beauty and talent are in the same room with you. The acoustics are heard and felt everywhere. It's something that "going to the movies" will never duplicate - and that includes an edited stage production. Essentially, this is what St Joseph Freinademets: The First Saint To Ever Serve In Hong Kong is. A recorded stage show. Music. Dance. Singing choirs and beauty. Let me not forget the beauty - and that's why even though I'm not a fan of recorded stage productions... I still really enjoyed watching this. This is why to myself, this is easily an above average production. It is, at times, stunning to even watch. The choreography is brilliant. The singing, solo and choir, is incredible and the story is one that needed to be told. In any and all forms. Even the uncultured, such as myself, will enjoy this film. Or at the very least, completely appreciate it. Like many people, I had no idea who Joseph Freinademets was. Now, after watching this production, I'll admit to a certain amount of guilt. I "should" have known who this man was. Who was he? A Roman Catholic priest who served as a missionary in China - and has been since declared a saint. This film is one about his life. Put to dance, song and yes... even narration and overlays. Mostly however, this is a stage production. And a good one - a great one. That live energy I spoke of earlier? Some of it does transfer over for us to see. Enough to make this enjoyable and entertaining. Had I been a fan of this kind of production, no doubt would I have awarded a higher rating. Anyone who truly loves theater and dance, would probably rate this title 4 stars. 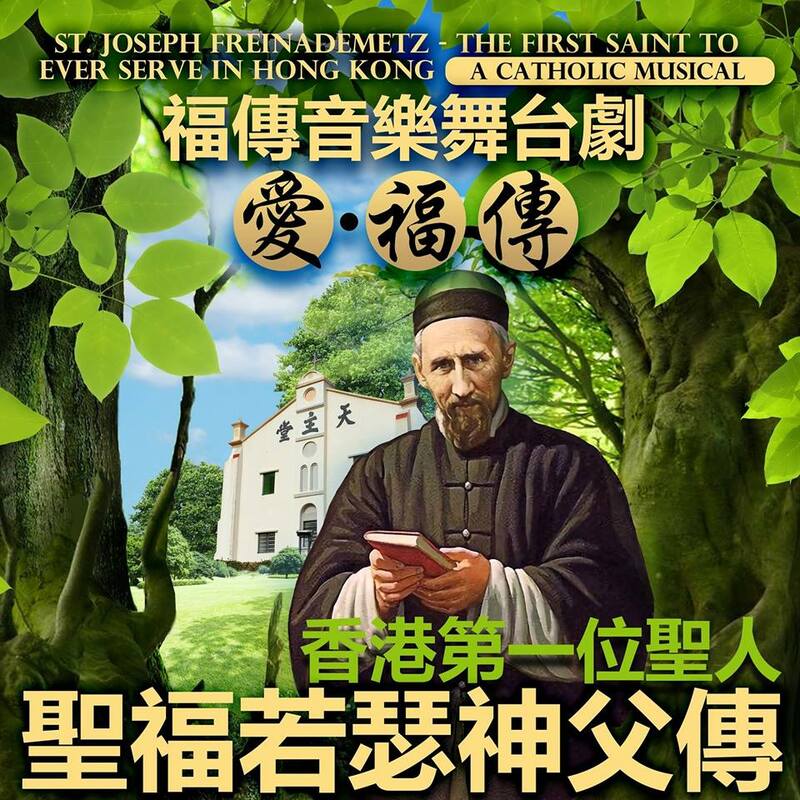 But for me, St Joseph Freinademets: The First Saint To Ever Serve In Hong Kong has served a much greater purpose. It has educated me. It has put within me, enough curiosity to actually find out more about this man. Writer, director Lai Nor Ngan has ensured I now know of a person, I definitely "should" have known about before. When it comes to movies, is there really a higher compliment? This mans name should be spread far and wide. For this? I'm eternally grateful for being able to watch this film. Traditional movie or not.